Research in Tectonic Processes and Crustal Dynamics focuses on integrating field investigations, laboratory analysis, and computational modeling to tackle the problem of deformation and change in the continental lithosphere on time scales ranging from short-term earthquake events to long-term tectonic deformation processes, and for spatial scales ranging from microstructures, visible under electronic microscopes, to the tectonic, continental scales. 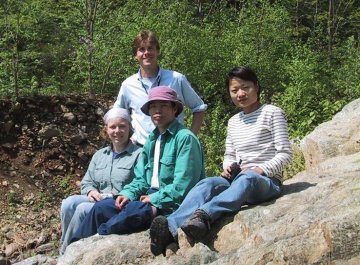 Dr. Atkinson’s research group examines earthquake hazards and ground motions, focusing on both natural and induced events throughout North America. Her Engineering Seismology Toolbox Laboratory hosts seismic data analysis hardware and software and the laboratory website, www.seismotoolbox.ca. The group interacts frequently with earthquake engineers, working towards the common goal of assessing and mitigating earthquake hazards and risk. Dr. Atkinson is the NSERC/TransAlta/Nanometrics Industrial Research Chair in Hazards from Induced Seismicity, and leads a multi-institutional collaborative research group that is investigating induced-seismicity processes in western Canada. She also leads development of real-time seismic hazard assessment and management tools, for both natural and induced seismicity. Dr. Atkinson’s current research projects include: the assessment of seismic hazards and site response; comparative studies of ground motions in different environments; development of ground-motion prediction equations; real-time ground-motion processing and hazard assessment; methods of developing earthquake time histories for use in engineering analyses; and investigation of induced seismicity, using a new regional monitoring network in Alberta. Microstructural Analysis Facility: This facility includes an EBSD detector attached to the SEM for Lattice-Preferred Orientation analysis and phase identification, four state-of-the-art (Leica and Nikon) microscopes with digital cameras and image analysis software for thin-section scale microstructural analysis, one precision-cut diamond saw and a Vibratory Polisher for sample preparation. Field Mapping Facility: This includes one Trimble Pathfinder ProXRT receiver, three Trimble GeoXH handheld units for high-precision digital mapping in selected critical areas, and one truck for field use. Computational Facility: Four state-of-the-art computer workstations with the latest software (commercial as well as those developed by Dr. Jiang) installed for the numerical modeling of tectonic deformation and the development of geological structures. 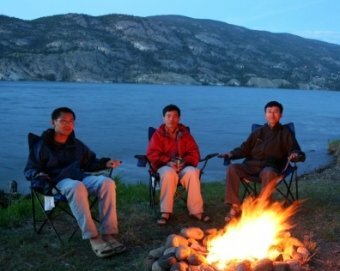 Dr. Jiang's current field research areas include the Canadian Shield, Canadian Cordillera, and East China. Earthquake physics and statistics. Analysis of temporal and spatial scaling properties of earthquakes and aftershocks. Large-scale computer simulations of seismicity. 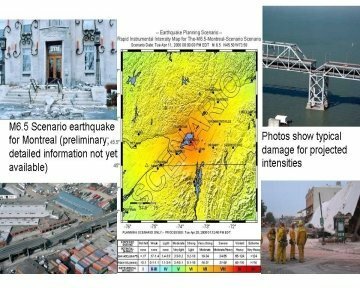 Earthquake hazard assessment and forecasting. Continuum damage and fracture mechanics. Applications to fracture processes in solids and the earth’s crust. Numerical and analytical modeling of the evolution of damage, nucleation and interaction of cracks. Extreme events in nature and society. Analysis of record breaking events in driven nonlinear threshold systems. Planetary geodynamics and the internal structure of the Earth and planets. Cross-correlation analysis of gravity and topography signals to infer the evolution and elastic properties of the lithosphere. Self-organized critical behavior in nonlinear dissipative complex systems. Analysis of pattern formation and criticality in cellular automata and their application to natural phenomena. Stochastic Monte-Carlo simulations of various cellular automata. 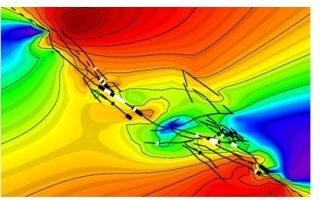 We integrate field investigation, laboratory analysis, and computational modeling to tackle the problem of fault systems, earthquake dynamics, seismic ground motion, and longer term deformation of the continental lithosphere. The computational modeling and data assimilation lab contains twelve state-of-the-art computer workstations designed for visualization and data analysis of large quantities of geodetic and seismic data, attached to a multi-disk storage array with more than one terabyte of capacity. These workstations are equipped with the latest in commercial and academic research software designed for the analysis of geodetic data and remote sensing images, modeling of the earthquake system using finite element analysis and integrated computational fault models, and includes the capability to perform parallel computing, all for the express purpose of performing near real-time data assimilation and inversion analysis in order to better understand the earthquake fault system. Here we perform integrated data assimilation and analysis for the purpose of understanding fault systems dynamics using seismicity and geodetic and remote sensing techniques, including GPS and InSAR data analysis. From this facility, we also operate a network of eight continuous GPS stations located throughout southern Ontario and along the east side of Hudson Bay. 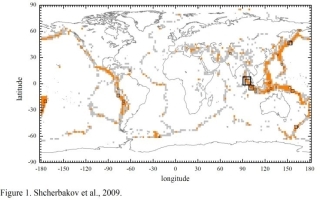 On a broader level, we study the physics of earthquakes using numerical and computation modeling, advanced time series analysis, and nonlinear inversion techniques.